Did you know there are several types of augmented reality? After reading the text below you’ll have a bunch of useful information to brag with among your friends. Even though the differences between the types of AR are not quite obvious, AR enthusiasts agree there are 5 types that might fall into categorization. As the name clearly says this type of AR projects digital images on physical objects in the physical space. It can be interactive and project a digital keyboard on your desk, or a dialer on your hand. It might be non-interactive and it can be used to create projection of objects that you can position and see in depth – for example, it might show you if your future fridge will fit into that space you have near the oven by projecting the fridge in front of you. Whenever you scan a QR code, or scan an image and it comes to live (just like in iGreet cards) you are actually using a recognition based AR. This how iGreet works – the AR app detects and recognizes something called AR marker. Once it recognizes the marker, it replaces it with a corresponding object. Another type of recognition based AR tech is the one that translates words seen through the camera. This type of AR also seems to be the most widely used one – along with the next one. Location based AR is taking advantage of the smart devices’ location detection features. If you’re a traveler and you want to discover new great places, this method will use your location by reading your smart device’s GPS, compass and accelerometer and give you relevant information about what you’re looking for on your screen. The line here is a bit blurry – outlining AR uses object recognition to work, and might look a bit like a projection based AR. For example, whenever you’re parking your modern car in the dark, outlining AR recognizes the boundaries of the road and outlines them for you. This method can also be used in architecture and engineering to outline buildings and their supporting pillars. 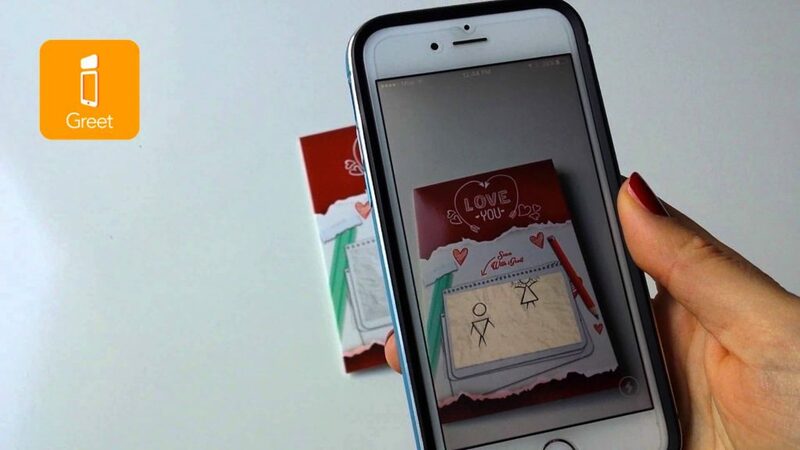 Superimposition based AR also uses object recognition in order to replace an entire object or a part of it with an augmented view. For example, if you’ve ever played FPS games, you know how your soldier may have advanced military equipment showing infrared view, night vision, radioactive view, etc. – this is all superimposition based AR. Also, in medicine, a doctor can use this technology to superimpose an X-ray view of a patient’s broken arm bone on a real image to provide a clear understanding of what the bone’s damage actually is. As these types of AR are steadily becoming parts of our everyday life, we could only wonder what other types of AR we can expect in the future. And we find new ones, we’ll definitely send an iGreet card to their inventors! This entry was posted in iGreet stories and tagged ar, augmented reality, cards, igreet, types.